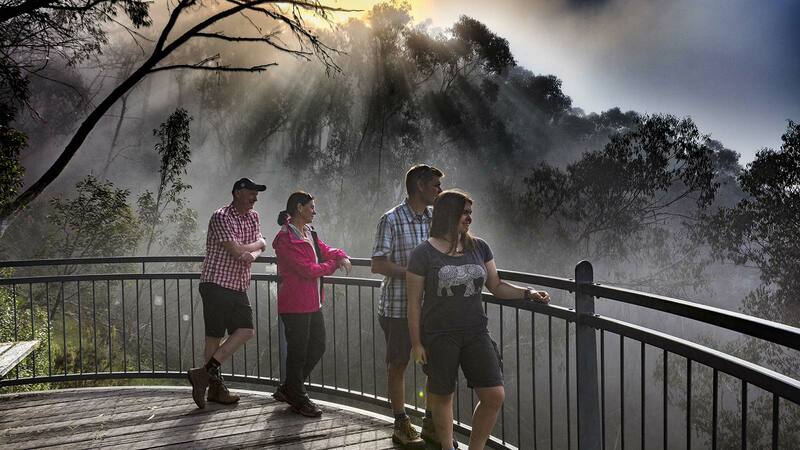 Heading off along the Dinner Plain 4WD track, this clearly marked trail within the Alpine National Park descends through snow gum forest to a viewing platform overlooking the picturesque Carmichael Falls. 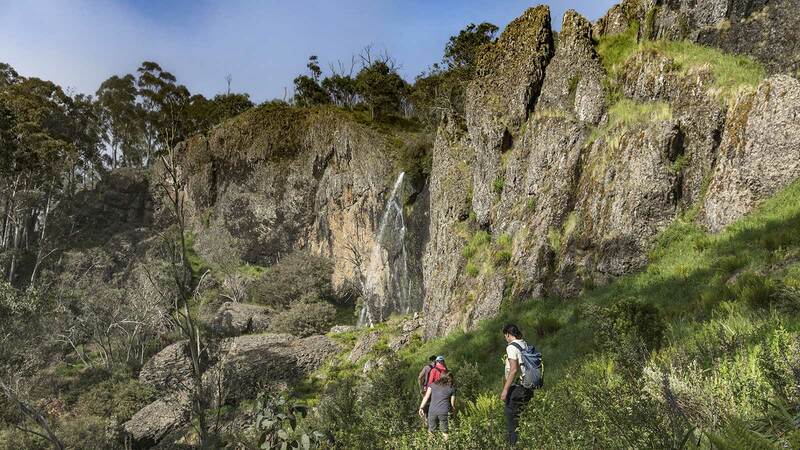 Dropping 25 metres over basalt cliffs, the falls are in the headwaters of Precipice Creek and the Dargo River, which are among the many waterways feeding the major catchments arising at the Dinner Plain plateau. The actual falls are in fact two falls side by side at the confluence of the Precipice and Dinner Plain Creeks which rise in the alpine bogs of the Dinner Plain Village. 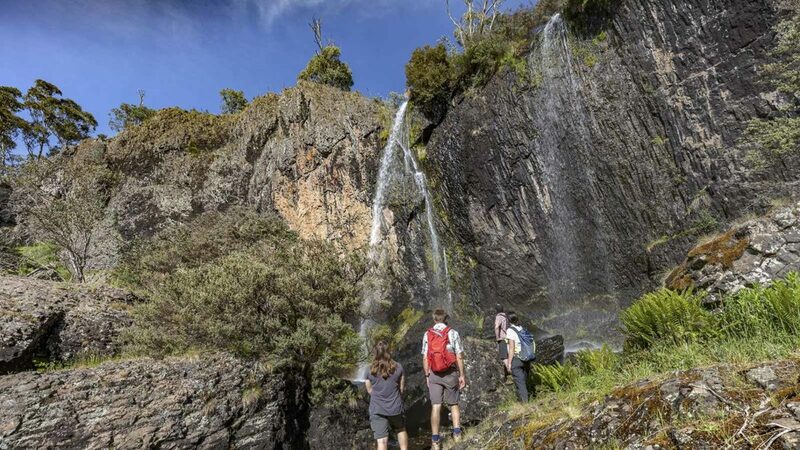 The trail ends at the viewing platform, but adventurous hikers may be tempted to scramble down to the base of the waterfall along an unmarked route. 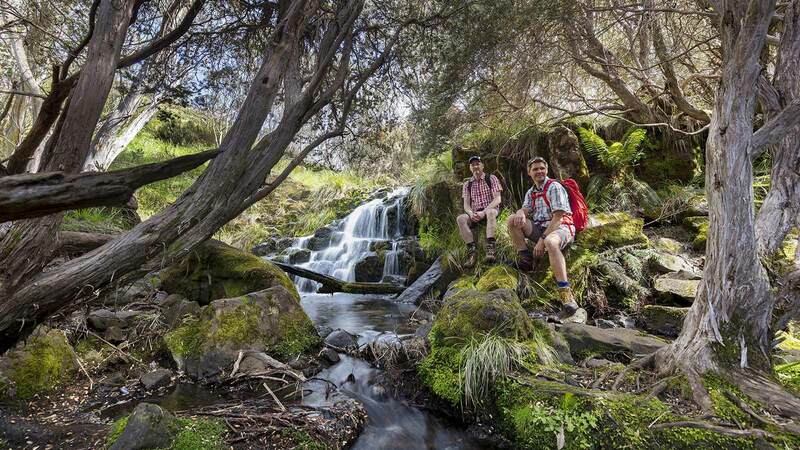 This terrain is on uneven ground with many unstable objects and long grass along the way and should only be attempted by experienced and confident hikers with an ability to navigate in unmarked territory. Please also be careful near the base of the waterfall, which may be slippery.